Protesters marched in a mock funeral procession at the Thompson Center Wednesday as they pleaded for help keeping Chicago's Roseland Hospital open. 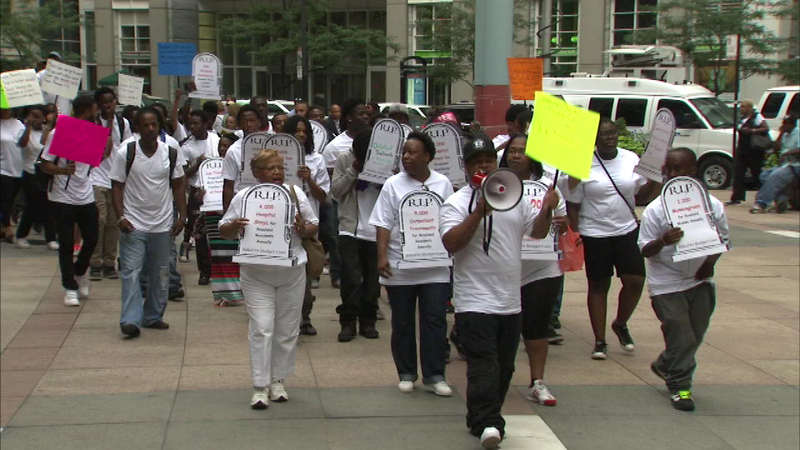 CHICAGO (WLS) -- Protesters marched in a mock funeral procession at the Thompson Center Wednesday as they pleaded for help keeping Chicago's Roseland Hospital open. The budget crisis in Springfield could force the hospital on Chicago's South Side to close. Roseland depends on funding from the state. There are concerns that funding will run out soon if a budget agreement is not reached.